The team at Creative Media Recording completed production on two unique audiobooks at the end of 2016 that became available on Audible.com in late Spring 2017. 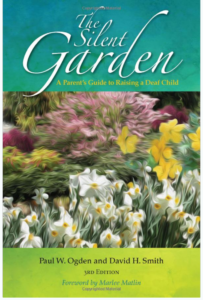 The Silent Garden / El Jardin Silencioso (in English & Spanish) by Paul W. Ogden and David H. Smith were developed for parents, educators and families to provide thorough guidance on the ins and outs of raising a deaf child. The authors are both noted university professors of Deaf Education who are deaf themselves. In this edition of each book the two of them share their unique understanding of growing up and thriving in a hearing world. The Silent Garden help parents understand that all deaf children have the potential to lead rich, productive, and exciting lives. The audio for the books was recorded in the CMR studios in Cypress over a several month period and they were narrated by professional Orange County voice talents Dave Sampson (English) and Paty Corcoran (Spanish). A passing comment in an email from a client the other day got my wheels spinning. I’ve noticed this phenomenon, but was never able to put my finger on the issue so well. The client shared that a batch of recent e-Learning auditions we sent him sounded “soft” – as if the narrators we’re reading a book aloud in a very quiet room. In other words, there was no energy, no engagement with the potential listener. 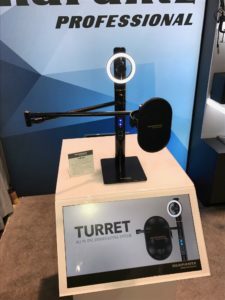 Now, I know VO pros are always encouraged to think of the microphone as a person’s “ear” and be aware of the power of the intimacy of their voice when speaking softly. But this client was hoping to hear more energy and enthusiasm, yet still have the read be conversational. It came to me that I had noticed this same phenomenon myself when working with voices from their home studios. I have have had to push the talent to get a little more zest. Human’s, by nature, will tend to speak softly when they enter a closet sized room because they know they don’t have to speak-up to be heard. A small VO booth may be having that same subliminal effect on narrators. Even a space carved off a larger room using acoustic curtains can have a dampening effect on a performance. I know I’m spoiled. 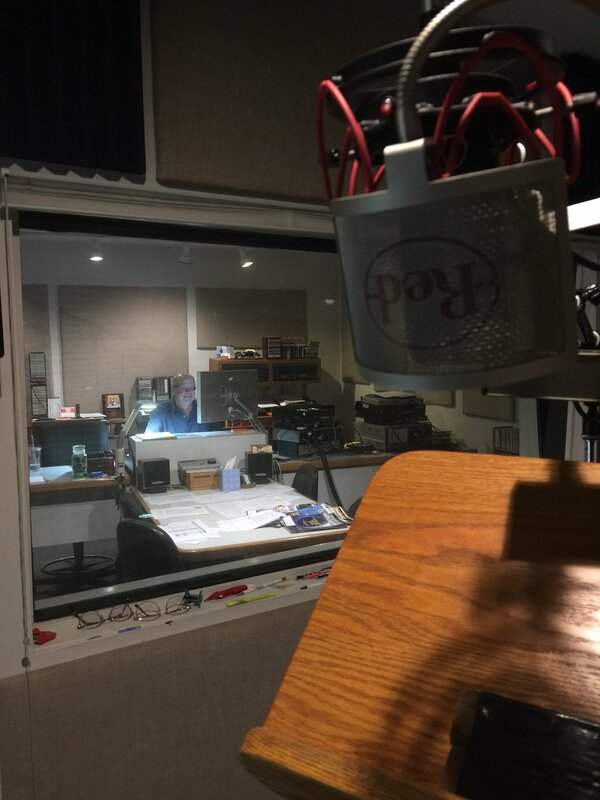 I own a professional studio with a nice, roomy VO booth that we designed from the ground up. It is, on average, 9’ x 16’ with enough room for three voice talent at a time comfortably. It’s big enough to feel like a room. 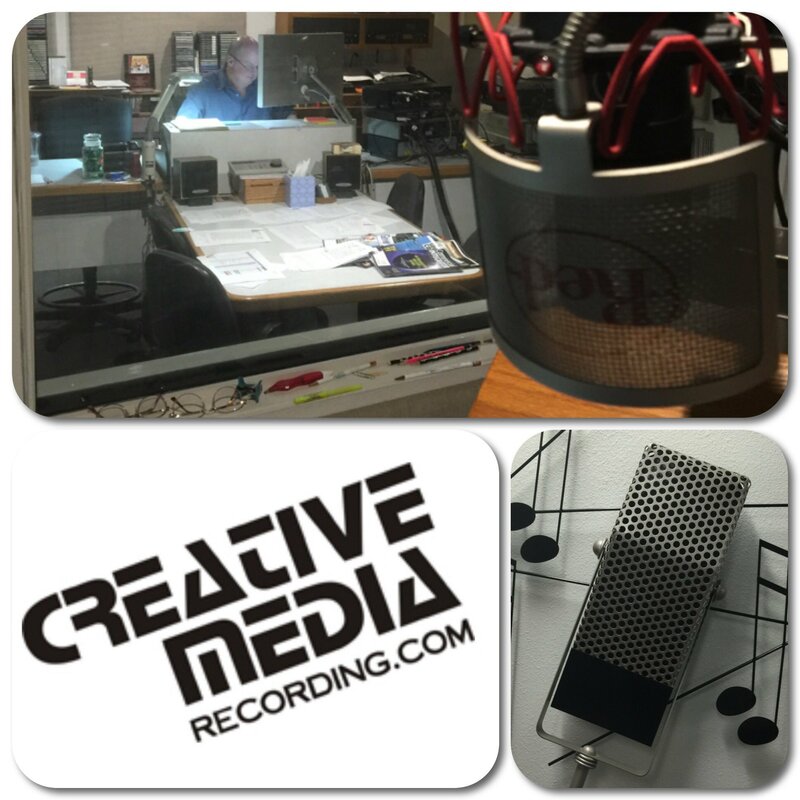 When you perform in our VO booth you can speak in normal, bold tones with no hesitation. So how do you overcome small space syndrome? Well, just being aware and conscious of it is a good step one. Listen to your auditions back in another room or on a different computer and see if you gave it enough energy. Part of your prep might be to imagine yourself in a larger room. Forget that it is just you and the microphone. Down the road you might consider an expansion of your space. Adding a window might give you a different perspective, too. Something to think about. Who knows, knowing this just might give you that little edge in your next voiceover audition. A mistake I’ve heard recently on a number of radio AND TV spots is voiceover talents verbalize a web address using the word “back-slash.” That is incorrect! I wanted to pass along this tip so you can sound like a pro at some future VO session. This symbol is a backslash “\” and it is used for Windows programming and in other technical applications. But the back-slash is one of several keyboard symbols that cannot ever be used in a web based URL address. It is actually kind of hard to even find the “backslash” on a standard keyboard, hiding way off the right under the delete key. Whereas the more commonly used forward-slash is on the same key as the question mark, over to the right next to the shift-key. It is also found on the 10 key panel. So when you’re in a VO session where you need to verbalize a web address you can be hero if there is any question on how to verbalize the forward-slash symbol. It is best to stick to the word “slash” because the listener will know that you mean the common forward-slash. Also, don’t let a director try to talk you into saying the word “back-slash.” Just gently explain the difference and how a “back-slash” can’t even be recognized in a web address. We don’t want to confuse the listener, which could result in costing his client a potential customer!! Over the years we’ve been asked “what’s the difference between a ‘good’ VO talent and a ‘great’ one. I had lots of responses that come to me that are more related to the business side of being a voice over talent. Things like showing up on time, prereading the script, being open to direction, etc. are all important aspects of being a professional. If you got selected for the VO job you must be good – or good enough, right? But on further reflection, we’ve concluded that the one true benchmark between good enough and really good is the ability of the voice talent to express, with their voice, the feeling that they know what they are talking about. So often, as a seasoned professional, you fall into a routine of getting a script, going over it for pronunciations and grammar and then just launching into a read. But did you really understand what you were reading? Did you know where you were going with that read and what all those terms you said aloud actually meant? This is particularly important with corporate narration projects but even applies just as well to commercials. 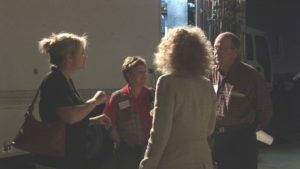 The true pros, the people who build a loyal following are the narrators who genuinely SOUND like they know what they are talking about – like they live this subject matter every day and are sharing their wealth of knowledge. In fact it is really the WRITER’s wealth of knowledge. Stop a minute. Ask yourself: What am I talking about here? Where is this script going? How does this thing I’m talking about work? Don’t be afraid to ask the client questions. How does this widget get made? What’s really going on when I talk about X? What did you mean about with Y? Look up words that are unfamiliar to you – not just for pronunciation but for meaning as well. Take the time to educate yourself about the client’s product or service. The payoff? The client will know you truly care about the voiceover job you are doing which builds client loyalty. Also, your read will sound genuine and that “truth” of the copy will totally come though in your voice – in much the same way as when you plant a big smile on your face the listener can HEAR that smile come through. This post originally ran on the www.voiceoverherald.com website. 1) Make sure your client thoroughly reviews and signs off on the final script in advance of your VO session. If you think your client needs the extra effort, record a “scratch track” with a temp voice for your client to review. Revisions to the narration after the initial VO session may not always match the energy and sound quality of the original performance and can be avoided with pre-production efforts. 2) Prepare the script in a format that is easy to read and understand. 12 pt fonts or larger and lots of spacing for the narration copy will make the session go smoother. The extra space allows for the talent to write in last minute changes that come up during the narration session. 3) Work out ahead of time how you would like the program paced and which places are good for music and narration transitions. What kind of music (if any) will be used throughout. This will help the talent get a feel for the segments that need more emphasis. 4) Direct the voiceover session. This seems like the obvious one but with the changes in the VO business this step is often overlooked. It is important to give guidance and direction as the VO is being recorded, either by phone or in-person, to avoid costly re-do’s. It also helps assure correct pronunciations and emphasis as well as a good performance. 5) Don’t over-direct and avoid the use of “line reads” if possible. Respect the fact that every voice talent has his or her own pacing, tempo and speech patterns. It is best to use positive words and encouragement to guide the talent to where you would like them to go with their read and which words require more emphasis. This piece originally ran on the www.mcai-oc.org website.